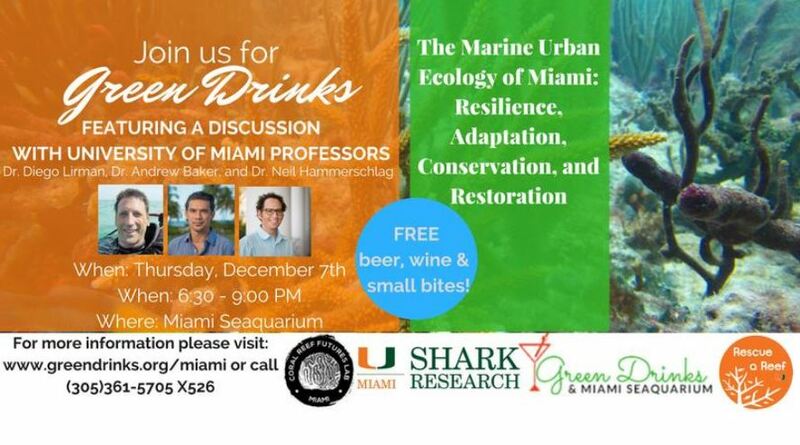 Join GreenDrinks.org for Green Drinks on Thursday, December 7th at 6:30 PM at Miami Seaquarium! During this month’s Green Drinks we will be collaborating with Rescue a Reef Program, Shark Research at University of Miami and The Coral Reef Futures Lab to feature University of Miami professors who will be discussing The Marine Urban Ecology of Miami: Resilience, Adaptation, Conservation, and Restoration. Help us in welcoming Dr. Diego Lirman, Dr. Andrew Baker, and Dr. Neil Hammerschlag as our keynote presenters for the night! Register through Eventbrite to receive 2 FREE drink tickets! Walk- in guests are welcome as well! Enter through gate to the right of the main entrance. 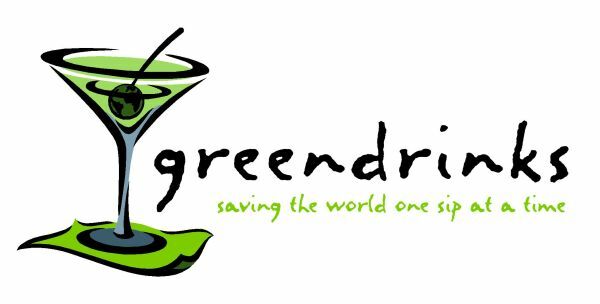 Green Drinks is an international initiative that brings like-minded environmentally friendly people together for a happy hour & discussion. Green Drinks is currently going on in over 70 countries around the world! Join us to contribute to the Green Movement! Next Article Next Article: Which Ice Sheet Will Flood Miami?